You take what may very well be an unhealthy amount of time picking out the perfect gear. From your laptop computer and smartphone to your headphones and ever the pens you carry. Everything has to be perfect for you, and you scrutinize every detail in order to ensure that’s the case. Are you really going to carry all of that great gear around in some tattered bag you bought eight years ago on sale in a department store? We spend a tremendous amount of time here at BGR helping you pick out the right gadgets, and now it’s time to help you tote them in style. We’ve scoured the globe and selected five options that come from names most people have likely never heard of. 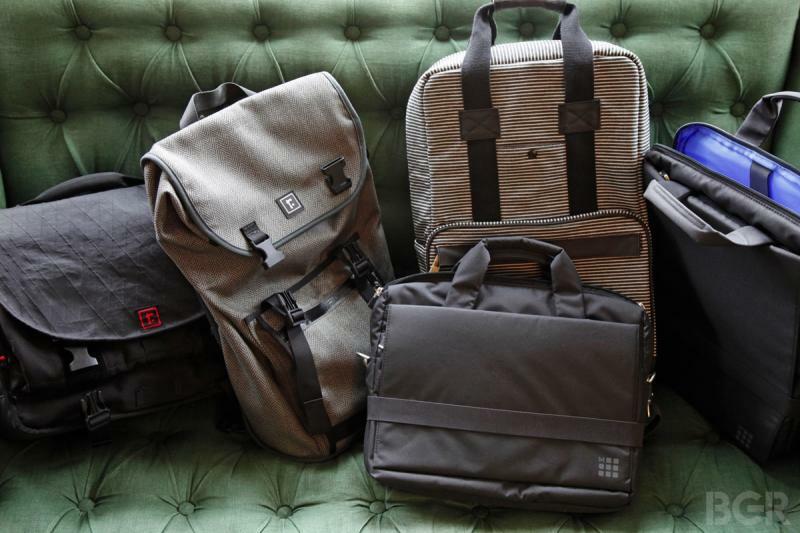 They span the widest possible range of styles, sizes and features, but they all have one thing in common: They’re among the best laptop bags you can buy right now. Rickshaw is still a young company compared to some of the mainstays out there, but its products are tried and true. More than that, Rickshaw offers a personal experience and attention to detail that you just won’t find with most other companies. 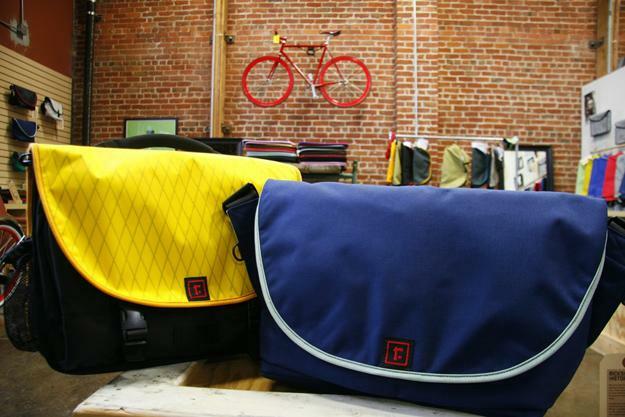 Yes, Rickshaw makes some ready-to-ship bags. But you’re not that boring, are you? The beauty of Rickshaw’s bags is that you can personalize them and then they’re handmade just for you. With the company’s newest bag, the Sutro Backpack, you can choose from one of 71 different colors and materials for the outside and inside of your bag, and then one of 42 different colors for the binding. Cap it all off by choosing from one of 17 different colors for the Rickshaw label, and you’ve got yourself a one-of-a-kind bag that you’ll never see anyone else carrying. The Sutro itself is very well constructed and it forgoes the bells and whistles in favor of simplicity and a sleek design. Pack rats need not apply, but there is plenty of space — 1,080 cubic inches in total. There’s a dedicated laptop sleeve that will hold most computers up to 15 inches, and there’s also a side zipper that provides easy access to the main compartment. Rickshaw did a tremendous job on this bag, just as we have come to expect. When you think of Moleskine, laptop bags probably aren’t the first things that come to mind — but that may soon change. Moleskine recently put out a series of bags under its new “myCloud” brand, and the myCloud Briefcase is of particular interest. This sleek and slender soft briefcase measures just 16.25″ x 11.75″ x 4.25″, but it will fit laptops up to 15 inches along with your tablet, accessories and plenty more. It’s also feather light and is your best bet at eliminating fatigue while commuting. The bag can be carried with a shoulder strap or a handle, and it has several pockets to ensure you can keep everything organized. 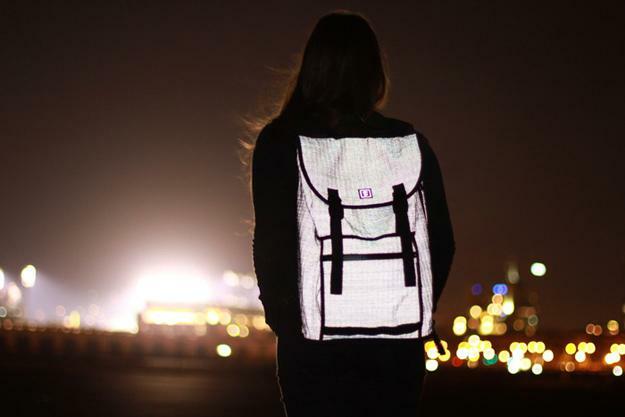 It’s also made of water-repellant material to protect your gear. 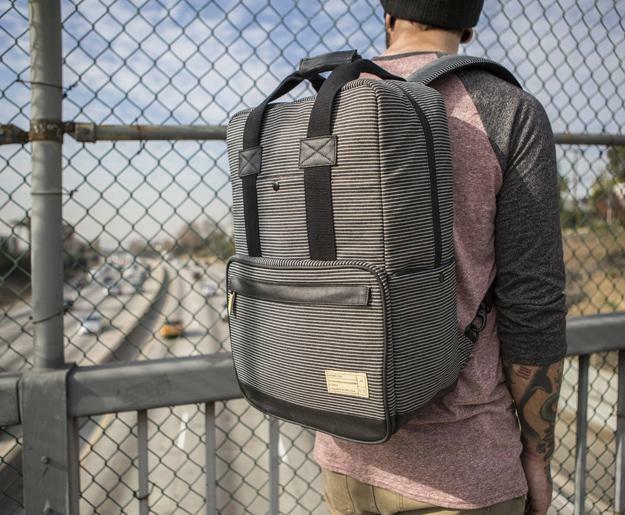 Hex’s Convoy Convertible Backpack is the largest and least expensive bag on this list. It’s also easily the most hipster-ish, constructed from a terrific water-resistant striped canvas that will definitely set you apart from the crowd. At 18.5″ x 12″ x 7″, the Convoy Convertible Backpack will fit laptops up to 17 inches and still have plenty of room left over. In fact, that pocket you see on the front of the bag alone is roomy enough to fit an iPad, pens, pads and charging cables. The bag also includes organization slots for pens and cards, as well as padded straps for comfort. Why is it called the “Convertible Backpack”? Because the backpack straps can be stowed in a hidden pocket and you can use a single shoulder strap that carries the bag vertically at your side. Rickshaw’s second bag on our list is the Commuter, a bag the company first released in 2008 and likely the most recognizable bag Rickshaw makes. I have personally used a Commuter for several years now, and my biggest complaint is the fact that it’s practically indestructible. Since it’s customizable and my tastes have changed over the years, I’d really like to design a new one. I just can’t rationalize it though, because even after years of commuting into and out of Manhattan, it still looks the same as it did the day I bought it. The Commuter includes a removable laptop sleeve that holds a 15-inch machine and attaches inside the generous main pocket with velcro. There are two small pockets on the front of the bag with various compartments for organization, and then one large pocket on the back with even more compartments. One of my favorite features of the bag has to be the velcro silencers. 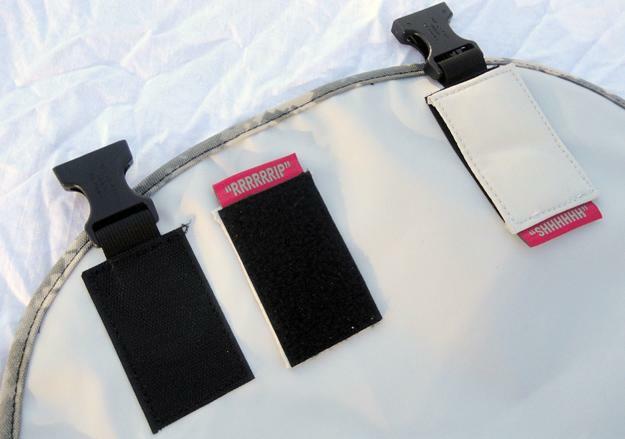 The cover flap has two big strips of velcro that attach to the front of the bag when the flap is closed. Attach the silencers, however, and magnets are used to keep the flap in place along with the two plastic buckles. This definitely isn’t formal bag, though my black waterproof X-Pac version is certainly sleek enough to fly under the radar. The Commuter is very unique and insanely functional though, and it’s easily one of my all-time favorites. Now, here’s the rub: Rickshaw has discontinued its most recent Commuter model, the Commuter 2.1. The company is wrapping up work on a newer version of the bag though, and it should go on sale at some point this month. When it does, you’ll find it at the link below; the 2.1 model was priced at $180, but I’m not aware if the new version will be available at the same price. That’s right, a second option from Moleskine as well. 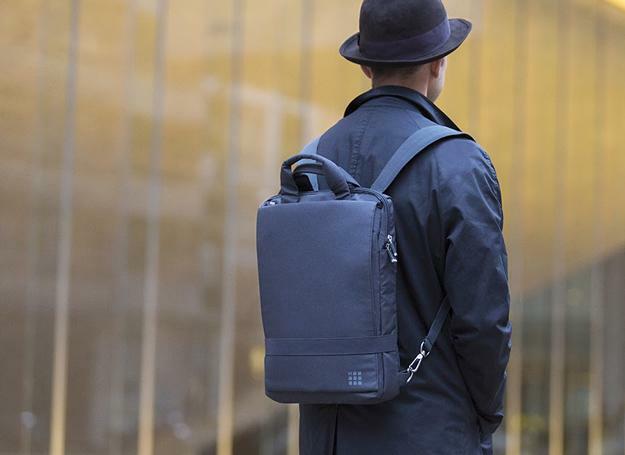 The company has done a terrific job with its myCloud line, and the myCloud Smallpack is another example of how compact and stylish Moleskine’s bag lineup is. It measures just 11″ x 13.75″ x 4.75″ and can fit a laptop up to 13 inches. That’s right, this wonderfully slim laptop bag is perfect for the MacBook Air. The myCloud Smallpack can be worn as a backpack or carried vertically using the fixed handles, and it’s constructed from the same water-repellant material as the myCloud Briefcase. 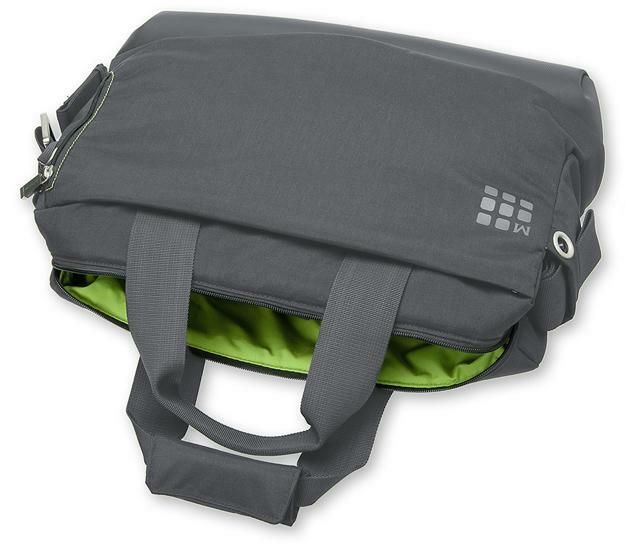 It also has padding to protect your laptop as well as a wide array of organizational pockets.